Retro platform sandals finished in soft suede. Suede upper Ankle buckled strap Open toe Leather lining and sole Made in Italy SIZE Self-covered block heel, 5" (125mm) Platform height, 1.5" (40mm). 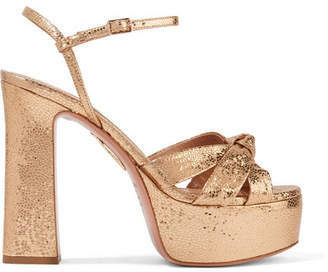 Women's Shoes - Aquazzura. 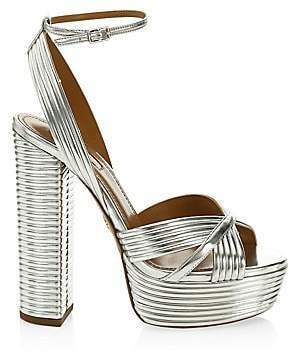 Aquazzura. Color: Red. Size: 40.5 (10.5).